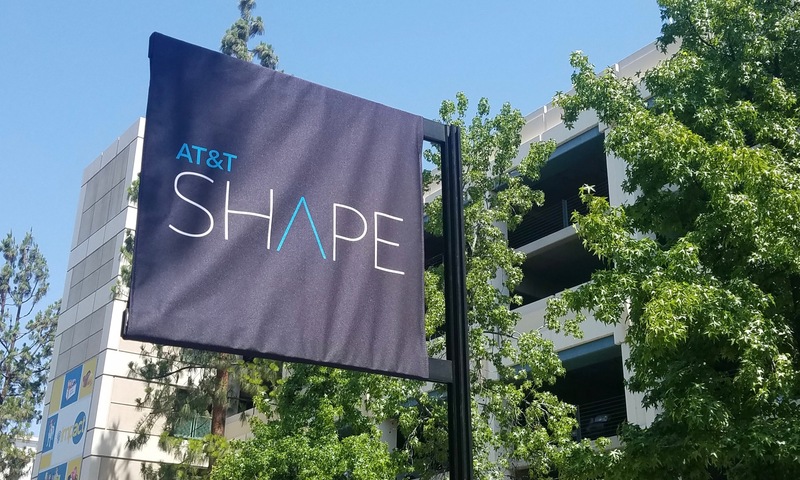 The AT&T Shape event was a convergence and forward-looking exploration of art and technology at the heart of Los Angeles. The second event to take place since its inception in the previous year, the 2018 event spanned from June 2-3 at the famous Warner Bros Studios in Burbank. The event attests to the growing interest and fascination for the creation of new experiences and content for audiences to engage with. I had the privilege of listening to a few speaker sessions while attending. The most notable topic that stood out to me was the conversation by Ross Goodwin and Oscar Sharp about how an A.I. named “Ben” wrote its own script that was later filmed and published online. In addition, creative team members from the Sundance Institute discussed various strategy points on how storytellers can connect with their audience through social media to establish feedback loops, audience nurturing, and tips for mining data. The interactive exhibits provided attendees with a sneak peek into how technology is revolutionizing the entertainment industry. Patrons were given the opportunity to try out green screens, animatronics, motion capture, and robotic cameras amongst other hardware demos. There is the potential for the UX industry to be represented here in the near future, with technology focusing more on providing optimal experiences for the user as well as incorporating the user in the production of immersive creative experiences centered around these emerging technologies.